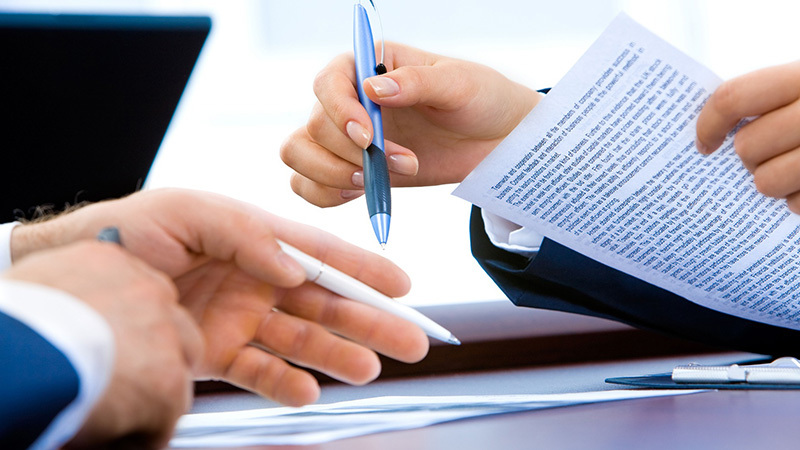 Advisors: Are You Recommending Life Settlements for Senior Clients Who Want to Age-in-Place? What is aging in place? Aging in place is a term used to describe a person living in the residence of their choice, for as long as they are physically able. Most prefer to stay in their current homes close to their loved ones, and stay connected to their social communities. While some seniors may prefer aging in place to commercial or institutional care, doing so will likely require expensive home modifications. Financial and insurance advisors are well-positioned to offer their clients guidance on planning for their aging in place goals in conjunction with their overall financial retirement plan. Fortunately, life settlements can often be the answer for some seniors. If you are a financial advisor with senior clients, you owe it to your client to explore ways to pay for home modifications as well as the assistive technologies they will need as they age. Although medical advances are helping to keep seniors active longer, some physical changes are unavoidable. Changes in eyesight, hearing, and balance are common. Falling is a major concern as seniors age, so simple tasks such as stepping into a shower or climbing stairs can be risky. Examples of AT devices include emergency response systems, motion sensors and fall detectors, voice activated technology such as Amazon Echo, Alexa or Google Home, automatic medication dispensers, telemedicine, video phones, stove use detectors, and more. While AT can make aging in place possible and safer for seniors, the costs to install and maintain these systems will need to be factored into the senior’s monthly expense budget. 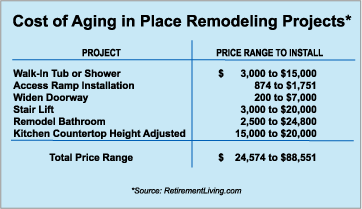 If home remodeling costs can cost a senior upwards of $88,000 (per the chart above), how much cash can a senior expect from selling a life insurance policy? In a previous blog article regarding life settlements and charitable giving, we discussed the typical proceeds a policy owner might expect for selling an unwanted life insurance policy. In that blog article, we used the example of a life insurance policy with a face value of $500,000. Then, applying the 2017 average statistic of 19.67% of policy face amount paid to sellers in the secondary market, a policy seller could possibly receive a cash settlement of approximately $100,000. Asset Life Settlements brokered a life settlement transaction involving a disabled senior who needed funds to pay for a home remodeling project. The insurance advisor who referred the case to us explained that the wheel-chair bound senior suffered from a degenerative disease but wanted to remain in his own home rather than enter a long-term care facility. He no longer needed his $1 million life insurance policy so his advisor recommended he sell his policy. In the end, the senior was able to use the $375,000 proceeds from the life settlement to finance an extensive remodeling project for his home. Financial advisors who interact regularly with seniors, their trustees, or their caregivers, are in a key position to recommend a life settlement for an unwanted policy as a source of funds to pay for home modifications and the installation of assistive technologies. As greater numbers of baby boomers advance in age and enter the wealth distribution stage, they will expect more from their financial advisors than investment management services. Advisors will be expected to counsel their clients regarding the costs associated with living at home and how life settlements can provide a source of cash to pay for them.